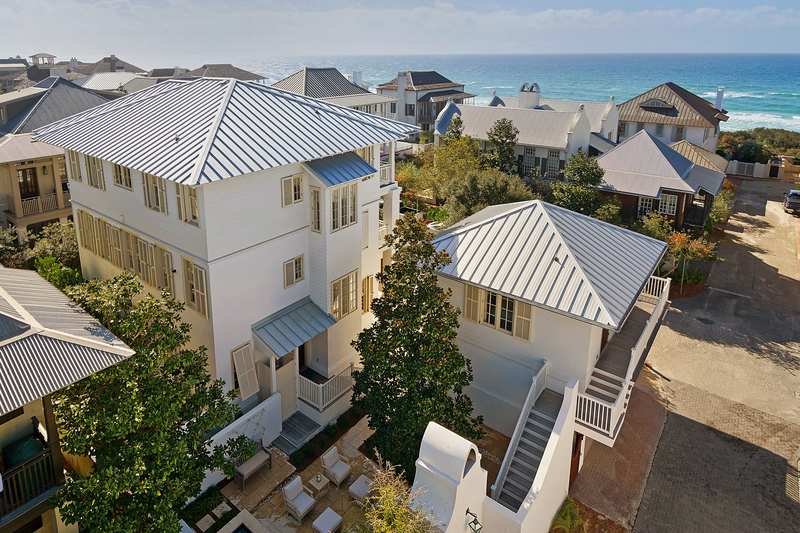 Experience life in Rosemary Beach as only a few can at 456 East Water Street. This recently renovated gulf view home and carriage house is located south of Scenic Highway 30A, only a stone’s throw from the trend-setting shops and divine dining establishments along this famed, new urban town’s Main Street. 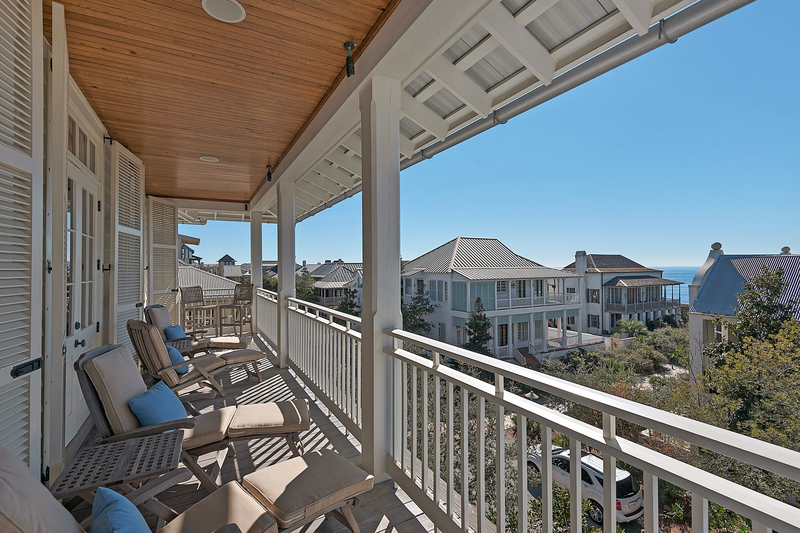 Located directly on the beach boardwalk, the home’s position takes advantage of unusually wide setbacks of the homes immediately across the street along the waterfront. 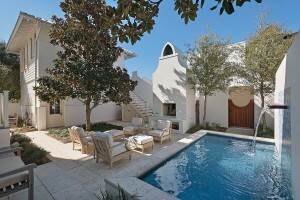 This unique scenario affords its third-floor living spaces panoramic views of the Gulf of Mexico’s emerald waters. 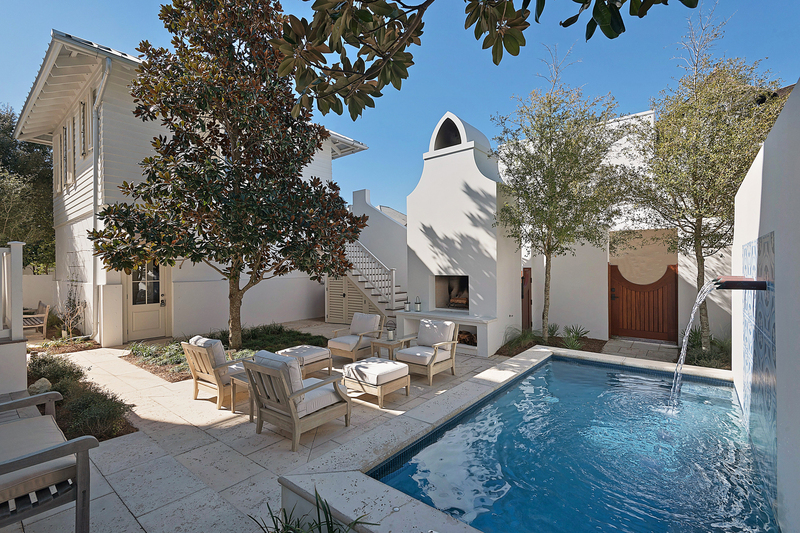 A thorough renovation of the outdoor courtyard space includes a striking outdoor fireplace, outdoor shower, and dipping pool with fountain. Their crisp white stucco and stone finishes are softened by maturing foliage, creating a contemplative space to relax in. Renovations continue indoors, reflected in the pristine baths, kitchen, and flooring. 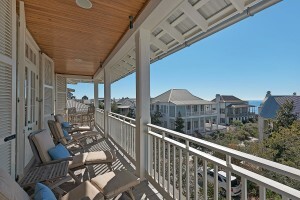 Gulf views can even be enjoyed from the master suite, offering access to wrap around balconies, found on each floor. Type 456 Water Street or 745875 into the search bar at the top of this page to see additional photos and learn more about this unique property, offered exclusively by Scenic Sotheby’s International Realty.